Smartlink, the new aluminium bay and coupler system is the smarter way to build a bay says its manufacturer Anglo European. It’s compatible with all PVCu window systems and offers a ten-year warranty. The Smartlink system includes square baypoles and couplers with variable angles to suit different window designs. The universal baypole jack enables easy on-site bay window adjustment for a faster and more accurate installation. Smartlink is fully certified to comply with CE marking. The aluminium couplers and baypole jacks have been fully tested to loads of 10.6 tonnes, almost double the level required. The system is backed up by our full 10-year warranty & European design rights, in line with other Anglo European products. James Lister, Operations Director at Anglo European, the window and door reinforcement specialist explains: “We asked fabricators and installers what they needed from a baypole system and designed Smartlink to meet their needs. The baypole bar lengths are optimised to make fabrication quicker and to reduce waste. We also chose a clever and proven jack for straightforward installation. “Fast, reliable delivery was also important to fabricators. Smartlink is compatible with all standard PVCu trims and because Anglo European holds high levels of stock, orders can be delivered in as little as 2 days. 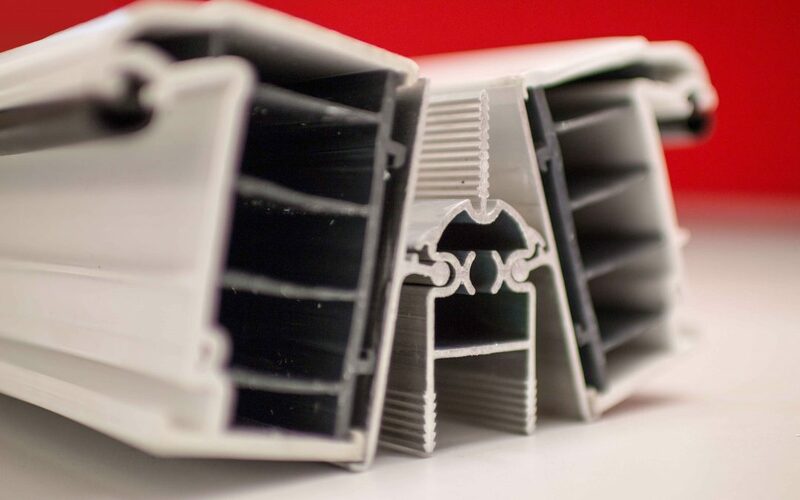 Smartlink is manufactured at our own extrusion facility to lower production costs and guarantee consistent supply. “Initial feedback on Smartlink is very positive, fabricators are impressed by the test certification and warranty that comes with the new system.